Sardi Table is one of the companies manufacturing pool tables, for professional and amateur use, best known in the world. Contact us to know which are our retailers, we have built up an extensive range of customers in many countries. Sardi Table produces tables with and without token vending machine, since not only games halls, coffee bars and public houses in general ask for our products, but also private citizens. Sardi G & D was founded by Giorgio Sardi in 1947 becoming the first manufacturer of Football Tables in Italy in 1950. Today we are producing, maybe, one of the best quality to price range of Pool & Football Tables in the games industry. On request, our company personalizes both pool and football tables, in order to advertise your company in a clear and simple way. We can print your logo and the colours of your company on both pool and football tables. The Sardi D&G Company offers products who are entirely "Made in Italy". Our pool tables are designed for public houses or private citizens and we products them with or without token vending machine. They are supplied with all standard accessories. We sell our pool tables to games halls, coffee bars and public houses in general, but also to private citizens, who can purchase them directly from the retailers representing our brand in a large diversity of countries. Contact us to know your local distributor. As in all quality companies Sardi G & D support does not finish with the sale of its products. Sardi G & D provide a complete range of after care services including a full range of spare parts, replacement cloths, as well as a cushion refurbishment or replacement service. 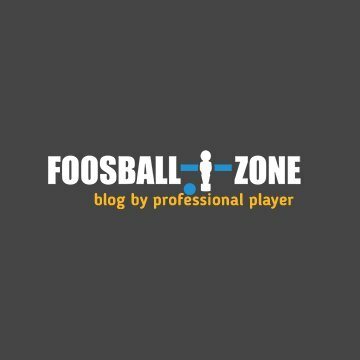 An interesting blog created by a professional foosball player.